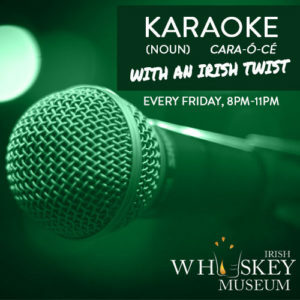 Karaoke with an Irish Twist – Free Whiskey Tasting For Your First Song! Looking for something new to do on a Friday night? Sign up for your first song and receive a FREE tasting of whiskey on your way up to the stage! 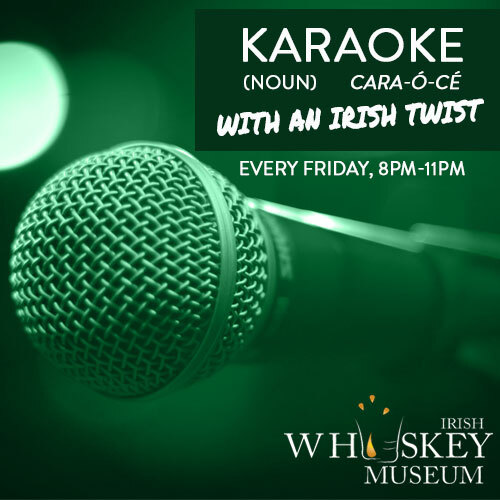 Join us every Friday, 8-11pm in McDonnell’s bar at the Irish Whiskey Museum. Bar open until 11.30pm. **Disclaimer: You must get up on stage and sing your song to receive your whiskey!